Rent Stone Gate Farm: The Manor and The Barn | Corporate Events | Wedding Locations, Event Spaces and Party Venues. 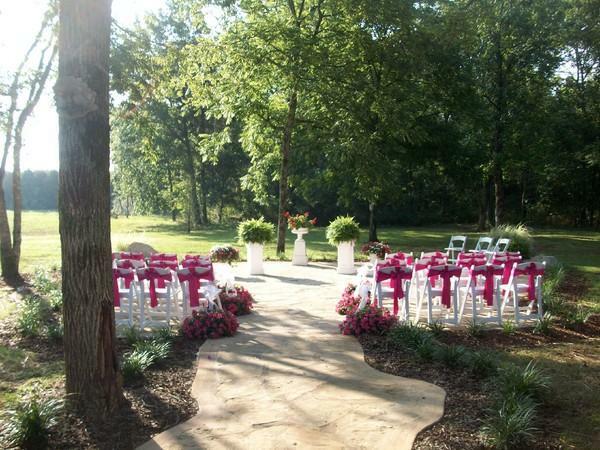 Stone Gate Farm are quickly becoming the most talked about event and wedding venue in the Murfreesboro, TN area. We specialize in indoor and outdoor weddings, ceremonies and receptions, and corporate events. We are Rustic Chic and climate controlled for your guests enjoyment. Stone Gate Farm,The Manor and the Barn are quickly becoming the most talked about event and wedding venues in the Murfreesboro, TN area. We specialize in indoor and outdoor weddings, ceremonies and receptions, and corporate events. Additionally, the Manor at Twin Oaks is a five star-rated B&B on bedandbreakfast.com and tripadvisor.com. The farm's new venue, The Barn, is an elegant, yet rustic venue located among beautiful trees and the rolling hills of Tennessee. It is the perfect place to enjoy your event no matter what the weather, as The Barn is equipped with heating and cooling to assure you and your guests are always comfortable at any time of the year. A guest house adjacent to the Barn sleeps 16 and is excellent for retreats or out of town guests.